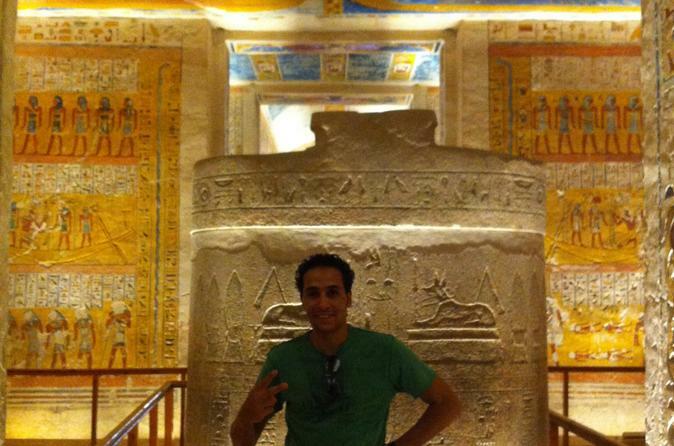 Full private day tour to see the best monuments of the ancient West Bank in Luxor. 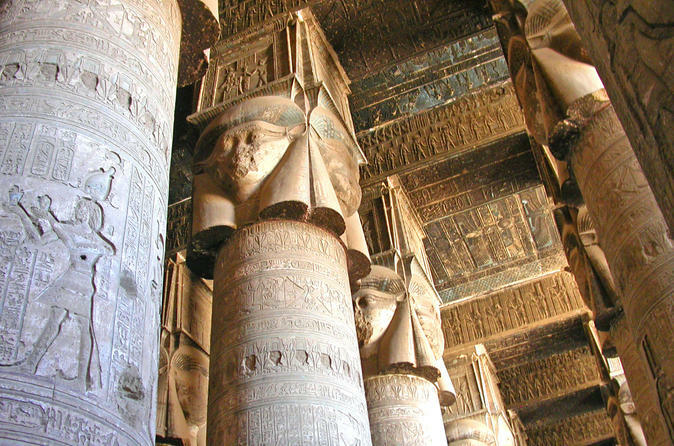 These monuments include Valley of the Kings (Necropolis of Thebes), Temple of Hatshepsut (Deir el Bahari), Valley of the Artisans (Deir el Medina), the Temple of Medinat Habu (Temple of Ramses III) and the Colossi of Memnon. 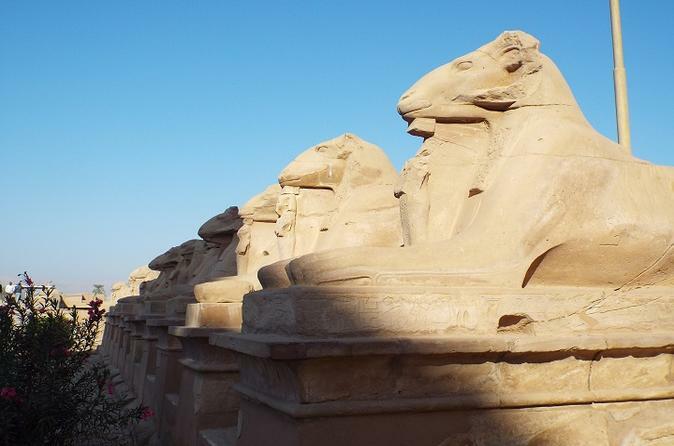 You will be guided by a licensed Egyptologist tour guide and transported to all the sites by air-conditioned vehicle. 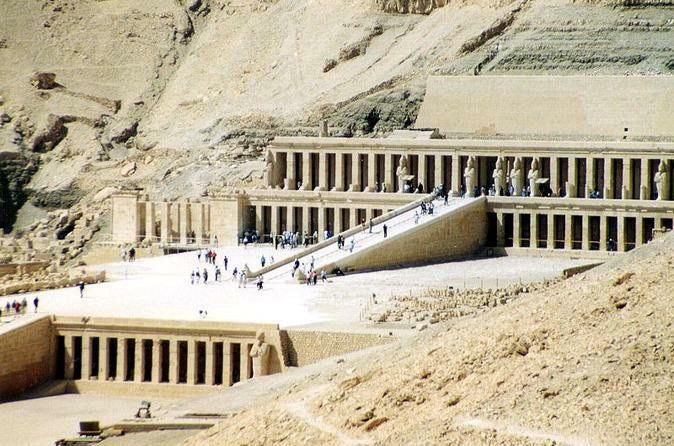 Private guided tour to the East Bank of Luxor, to see the ancient monuments of Karnak and Luxor Temples and Luxor Museum. 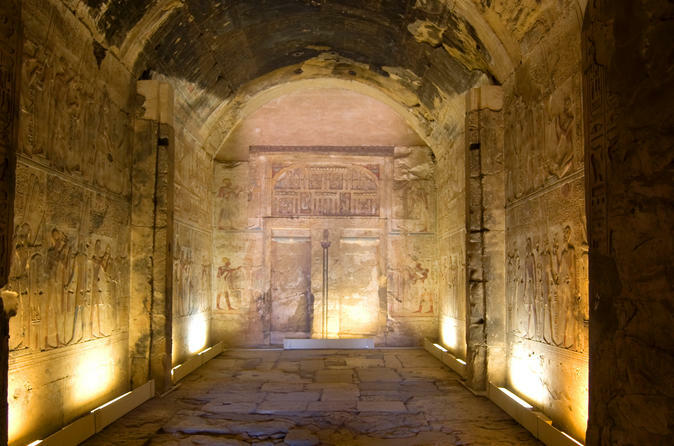 You will be guided by a licensed Egyptologist tour guide and transported to all the sites by a private air-conditioned vehicle. 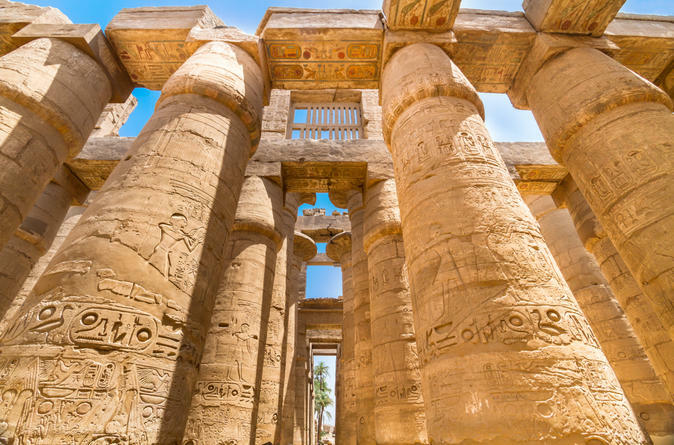 Walk in the footsteps of Egyptian pharaohs on a full-day tour of Luxor. 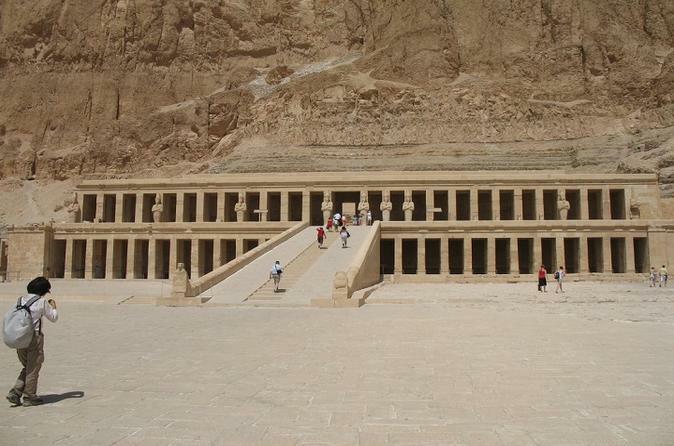 Tour the East and West Bank, including the Valley of the Kings, Hatshepsut Temple, and Karnak Temple. See the Colossi of Memnon and tour an alabaster factory.